It took South Africa a number of years of blood sweat and tears and hard bargaining to secure the prize of hosting the 2010 Fifa World Cup. Great was our joy when our country's name was held aloft and we had won. Today its just three short years from the event and Cape Town is still struggling to get its act together to enable them to build the new stadium. The envisaged 68000 seater stadium is to be built on land currently leased under a 99 year lease hold agreement by the Metropolitan Golf Club. The rezoning of the land has come as a shock for the golf club who will lose a large part of the current course. However, land nearby has been promised to the golf club to make up for the loss of land to be utilised by the new stadium. The Green Point : Mouille Point area has seen its fair share of land rezonings where the people in possession of the land were ousted by the local authorities. The first such incident occurred way back in the 1650's when two local tribes living in what was then called the Camissa valley had their land taken from them. They were the Huri-!Xai Quena or "Sea-place Quena� tribe and the Kurin gai-Quena or "Sea-food collecting Quena tribe" also known as the Hottentots and Strandlopers. These people lived on a large piece of green land to the west of Cape Town which is today known as the Green Point Common. In those days the area was known as Kai Haa Mullai or the Great Flat Pastoral Land. Over the years the word �Mullai� from Kai Haa Mullai name was corrupted by the French and the areas name became known as Mouille Point. Mouille meaning "anchorage where there is none�. If one looks at the history of Table bay since the 1480's the name is probably quite apt as hundreds of ships have been blown from their anchorages off Mouille Point and wrecked on the coastline of Table Bay in the winter storms that occur each year. The first alienation of land however occurred during the early years of the Dutch colonisation of the Cape when the Kai Haa Mullai was taken from the Quena people and utilised by the Dutch for grazing their cattle. In more modern times the land has been utilised as sportsfields for sports such as cricket, rugby and soccer. When in the early 1940's it became necessary to build a sports stadium near to Cape Town the site of the current Green Point stadium was chosen and the 18000 seater stadium that stands on the site was built. Over the years ths stadium has hosted many soccer games and in the early days of night cricket the stadium was turned into a cricket field. Many international concerts have been hosted in the stadium as well. Some big name artistes such as Michael Jackson, Bono, and Beyonce have performed in the stadium. 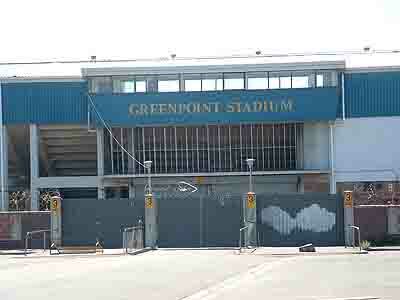 Sadly the current Green Point stadium will soon be gone. After 50 long years of hosting entertainers and sports stars the stadium is to be replaced by a 68000 seater stadium nearby. The demolishers have already moved in and are starting to dismantle the stadium. The building of the new stadium however is fraught with problems. Getting permission to start building on the new site has met with major obstacles as the local Green Point residents committee, the Municipality of Cape Town and the Cape Town ANC lead government have been at loggerheads trying to sort out the matter. There have been many delays and it was hoped that construction would begin in early January 2007. This however was not to be and construction was then to start in early February. Too date the bidders for the construction of the stadium have not yet been officially appointed so another month has gone a begging. Hopefully by March all problems will have been sorted out and construction on the stadium will begin. 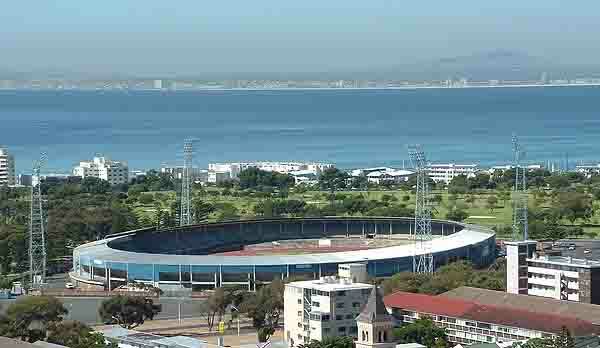 With the planning for the new stadium a grand overhaul of the Kai Haa Mullai or Green Point/Mouille Point common has also been planned. The idea is to establish a world-class facility with green space for all Cape Town residents near to the Victoria and Alfred Waterfront. The 78 hectare piece of land will be utilised as follows. 18 hectares for the new stadium. 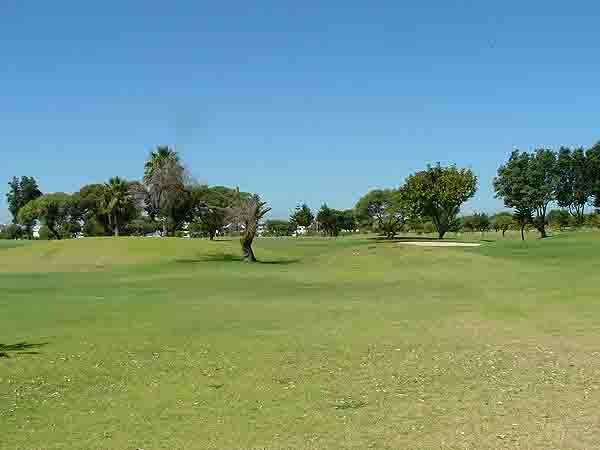 The balance of 60 hectares will include the existing golf course, a sports and recreation precinct and an urban park. The granting of the Fifa World Cup to South Africa has forced Cape Town to take a good long look at itself and to plan for the future. Infrastructure such as roads and railways need to be drastically improved to handle the transport of locals and visitors to the Cape now and into the future. With the improvements envisaged Cape Town will continue to attract more and more foreign tourists. Why not beat the rush and visit Cape Town before the whole world descends on us for the Fifa World Cup in 2010.